The California International Business University (CIBU) full-time MBA offers students small class sizes. The program can be completed in two years, or accelerated if summer courses are taken as well. International students are required to take a minimum of three courses per semester. The CIBU MBA program requires 12 courses (48 units). The eight core courses cover topics such as business ethics, marketing, and economic analysis. Furthermore, four elective courses are required, and students may study topics in human resource management, international business and commerce, and project management. 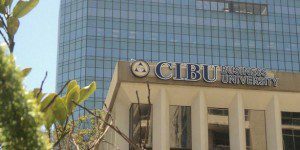 CIBU MBA students may pay for tuition on a per-course basis. full-time tuition for each semester (for three courses) totals $6,500. Master’s students may take extra courses at $1,650 each. Overall, total tuition for the entire program approximates $26,000. Students may qualify for financial aid benefits such as grants. Non-subsidized and subsidized (need-based) Federal Stafford loans are also available. Furthermore, California residents may qualify for California Student Tuition Recovery Fund (STRF) for protection against the loss of prepaid tuition. The MBA is eligible for VA benefits. Qualified students are encouraged to contact the admissions office to make sure they receive maximum tuition funds. To apply to the CIBU MBA program, students should complete an online application and submit transcripts for their bachelor’s degree. CIBU does not require GMAT scores or an application fee. Proof of health insurance, bank statements, a letter of motivation, or an interview may be required. If proof of English proficiency is necessary, students may submit scores from TOEFL, IELTS, TOEIC, or evidence of education in an English-speaking country.